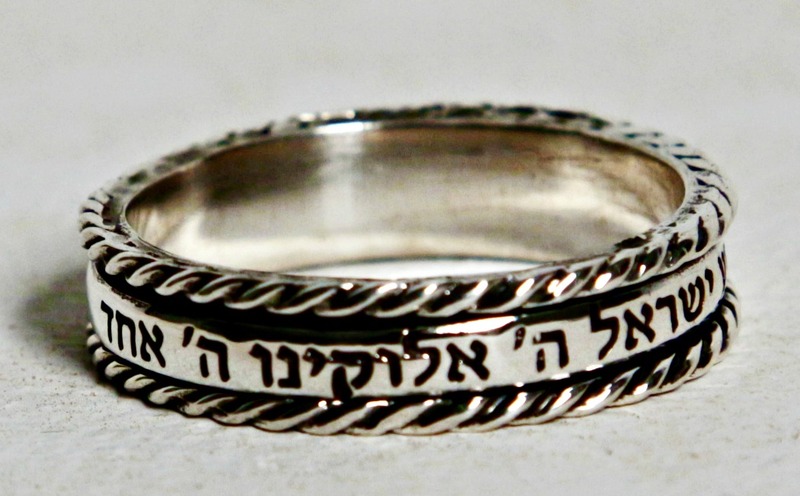 Israeli Spinner ring sterling silver with Hebrew verses and good wishes. 4. 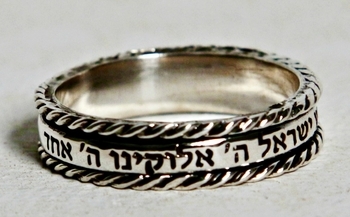 Ki Malahaih Yetzave lah Lishmor - The angels order to keep you safePersonalize: We can engrave your names or text.